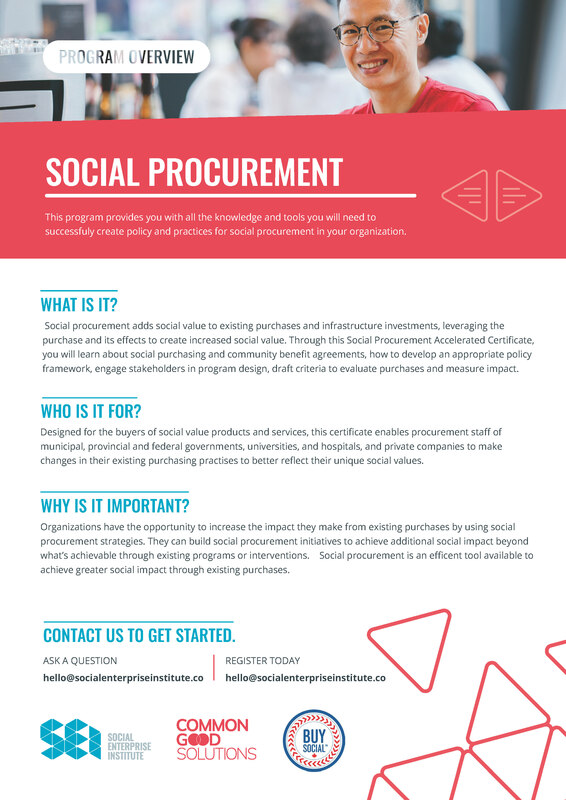 This program provides you with all the knowledge and tools you will need to successfuly create policy and practices for social procurement in your organization. In combination with one day of live training, you will be enrolled in an online certificate and online group coaching in the topic to allow for a deeper dive into social procurement. Sign up to receive a news about upcoming sessions near you!